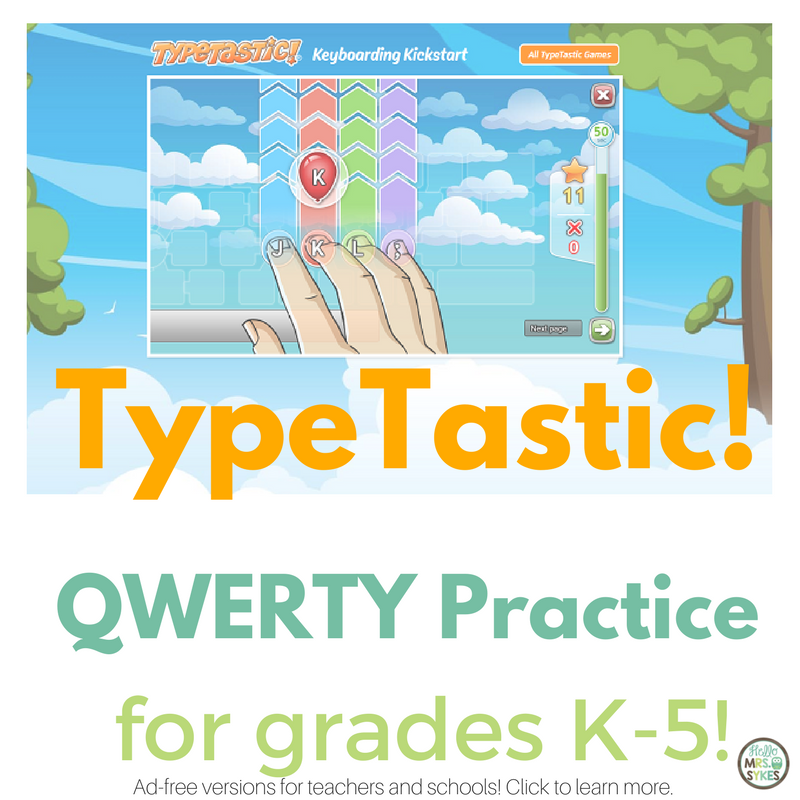 The keyboarding practice emphasis is on looking at the screen, not your fingers, while using repetition and visual cues to correctly type the letters. The graphics are engaging, with cute animations, sounds, and rewards. 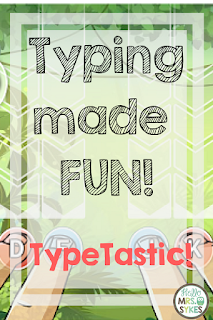 One of the games I played on TypeTastic! 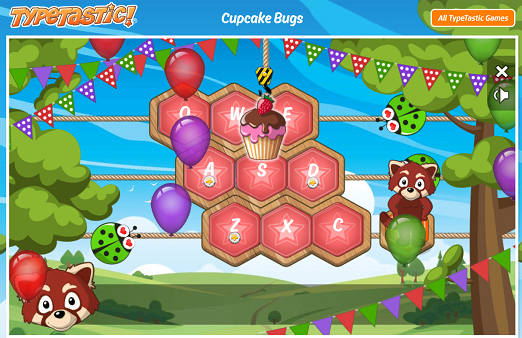 rewarded the ladybugs on the screen with a cupcake party when I correctly identified matched the letter to its spot on the QWERTY keyboard. Talk about cute! Chapters 4, 5, and 6 take it a bit further as students locate the letters to pop Astro Bubbles and help find lost ducklings in Ducky Trouble. I'd play these up to 2nd grade, or if I had older students who need the review. 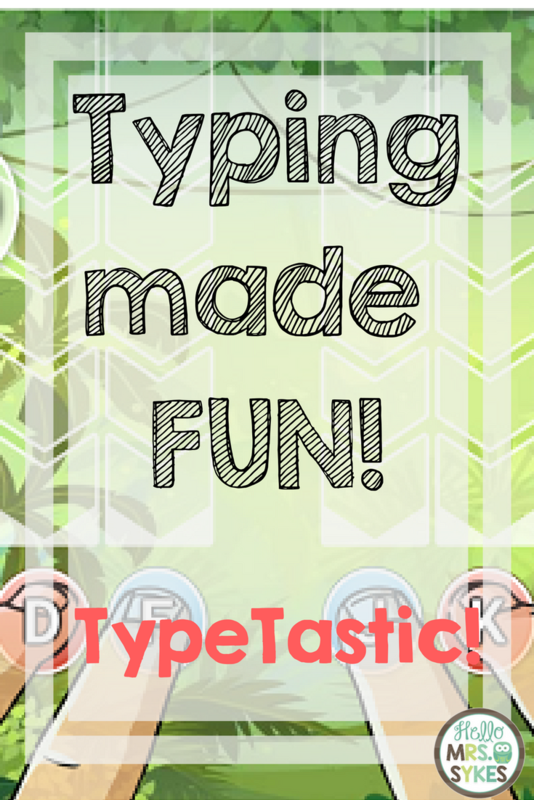 Grades 2 and up will like the competitive adventures in the "Keyboarding Kickstart!" My favorite game had dropping tropical fruit, and I used the home keys to catch each piece. Like I said, I noticed such a large improvement in my typing after several games. I am planning to revisit this site to work on my typing skills, because I definitely saw a difference after using the site for 30 minutes! Accessibility - all you need is an internet connection and a device. TypeTastic! works on computers and tablets (external keyboard optional). No installations required. 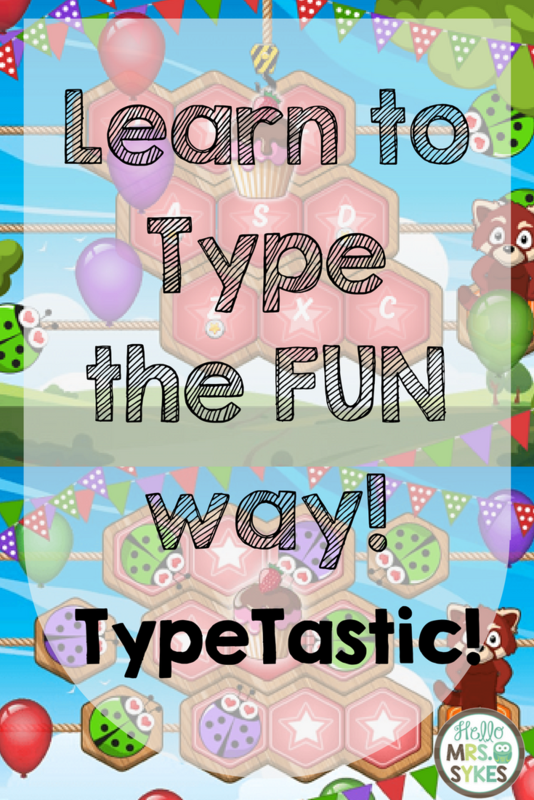 Ad-free for teachers - teachers can sign-up to get the Ad-free Edition at edu.typetastic.com for free! It's fun - game based learning is easy, fun, and motivating. It's practical - the color-coded keyboard helps kids to memorize the keys better, and exercises start with just one finger! This quickly accelerates the kids’ typing speed. 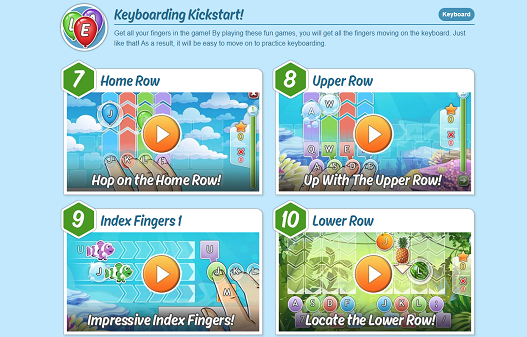 Games 1 through 6 are definitely geared towards younger elementary typists, and called "Let's Build a Keyboard!" 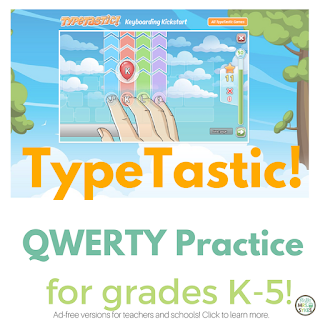 I would use these games with students in Kindergarten-2nd grades to build familiarity with a QWERTY keyboard. 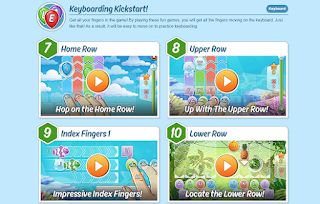 Students in grades 2 and up will enjoy games 7-13, as they move students through practicing with the home keys, all the while encouraging students to look at the screen instead of their hands. Set these up as an independent activity for early finishers, practice with the whole class in a computer lab, or use as a technology center in your classroom. It is so flexible that I believe you will find a way to incorporate these activities throughout your school year. Want to learn more? 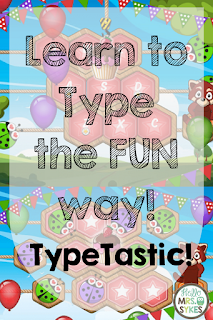 Visit the TypeTastic! "About" page here.